The short straddle option strategy is a neutral options strategy that capitalizes on volatility contraction, theta decay, and minor up or down movements in the underlying asset. 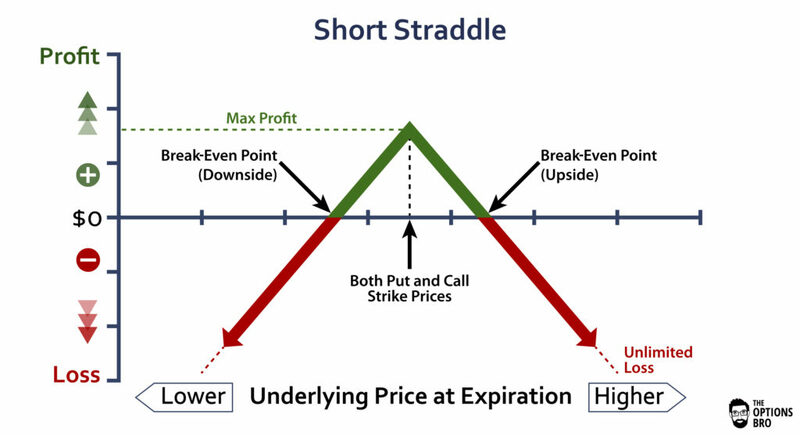 essentially, the short straddle involves selling both a short call and a short put of the same strike price in the same expiration series. 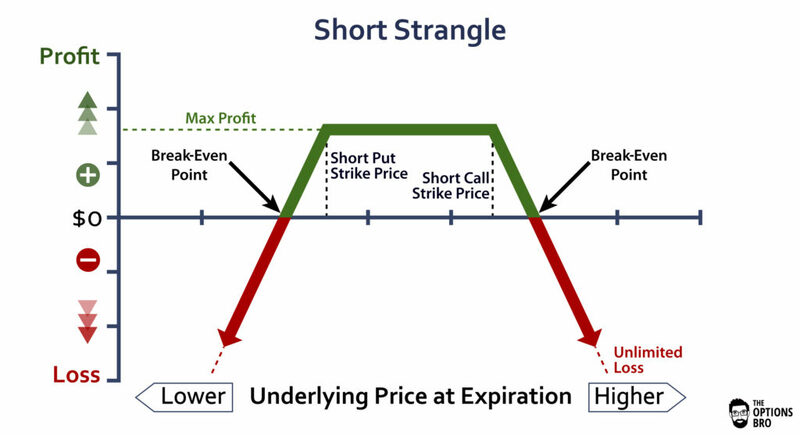 It is similar to a short strangle, except both of the strike prices in a short straddle are the same. This is the key difference between strangles and straddles. Out of every online broker with 24/7 customer service in 2018, Ally Invest the has the lowest commissions to trade the short straddle strategy as well as the best free options trading software. Read the Ally Invest Review. The net credit received for this trade is $1.40 ($140), the premium from both short options positions. The best case scenario for a short straddle is for the underlying instrument not to move at all. If stock XYZ stayed at $50 until expiration, this trade would be fully profitable. Typically, short straddles are traded at the money or very close to it, but they technically don’t have to be. 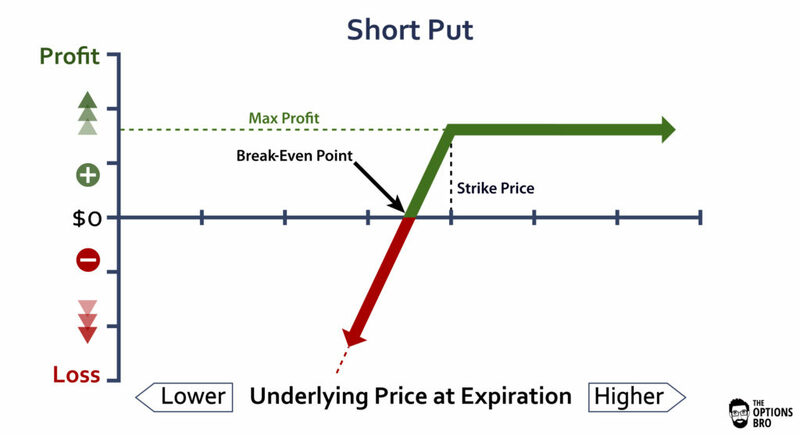 As long as both the short call and the short put are the same strike price, it is considered a short straddle. The maximum profit for a short straddle is always the total sum of the premium received. In the case of XYZ, it’s $140. The maximum loss is not so appealing. 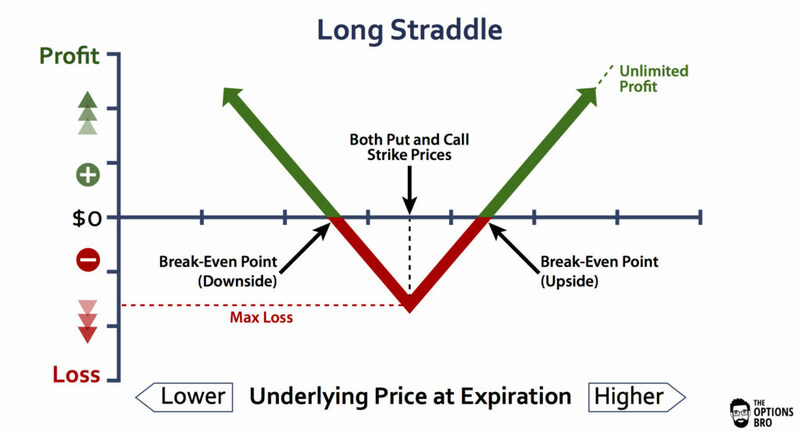 For the short call portion of a short straddle, the max loss is theoretically unlimited. If stock XYZ goes to $100 a share, the short call will be a massive loser. Conversely, if XYZ goes to $0 a share, the short put will be a massive loser, but the loss is defined for the short put. Therefore, the ideal situation for the short straddle option strategy is to not have the underlying instrument move at all and have volatility contract dramatically. Short straddles are highly effective to express a very neutral market opinion or a bearish opinion on volatility. The short straddle break-even has both an upside and a downside. For the downside, the break-even = the straddle strike – the premium received. For the upside, the break-even = the straddle strike + the premium received. Anticipating very little movement in the underlying, or slight sideways movement, is the primary reason to implement the short straddle option strategy. Contrary to a short strangle or iron condor, short straddles will be more sensitive to volatility contraction/expansion and theta decay. This is because short straddles are typically traded at or around the money. For example, if stock XYZ is due to release earnings in the next week, and your opinion is that the earnings release will have a minimal impact on the stock price, you could express your opinion by placing a short straddle prior to the announcement. If volatility is high going into the earnings announcement, and the announcement doesn’t have an impact on the stock, volatility will likely decline and the short straddle will profit. Therefore, the short straddle is also effective for expressing a bearish view on volatility itself. Theta decay for short straddles is one of the only ways the trade produces a profit, besides volatility contraction. Premium is priced out of ATM options faster than ITM options, so short straddles greatly benefit from time decay. Both legs of the trade, the short call and the short put, are beneficial to theta decay. Traders should use additional caution when trading short straddles, as it is an undefined risk trade. Although the trade will be delta-neutral open order-entry, large moves in either direction in the underlying can cause significant losses. In addition, large volatility increases can cause significant losses as well. The most important thing to remember when trading short straddles is that dramatic movements either up or down will significantly harm the position. This is why selling straddles is a common tactic for large low-beta indices that don’t move as much as individual stocks, i.e. SPX. Some ETFs are popular underlying asset choices as well, like SPY. Ally Invest is the cheapest broker to trade short straddles. Up to $3,500 cash bonus + commission free trades for new accounts.